The New York Center for Jungian Studies was founded in 1993 by Aryeh Maidenbaum and Diana Rubin. All of the centers conferences, seminars, workshops, and study tours are held in extraordinary settings with excellent facilities and offer participants programs led by outstanding and internationally recognized analysts and authors. In addition to the annual Jung on the Hudson and Jung in Ireland programs, some of the countries where programs are offered include Cuba, Spain, Portugal, Israel, Jordan, and Argentina. 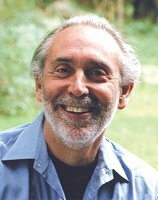 Aryeh Maidenbaum, PhD, is a Jungian analyst in private practice in New Paltz, New York and New York City. A former faculty member at New York University in Manhattan, he taught courses on Jungian psychology for many years and has led Jungian seminars and study tours around the world for more than two decades. From 1982 to 1993, he was the executive director of the C.G. Jung Foundation of New York. A graduate of the Jung Institute of Zurich, he is a contributing author to Current Theories of Psychoanalysis and has written and coauthored several books and articles, including The Search for Spirit in Jungian Psychology, Psychological Type, Job Change, and Personal Growth, and Lingering Shadows: Jungians, Freudians, and Anti-Semitism. His most recent book, Jung and the Shadow of Anti-Semitism, is a collection of essays he edited on the subject. 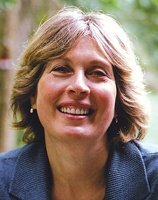 Diana Rubin, LCSW, has a private practice in New Paltz, New York and New York City, specializing in working with creative and performing artists in both individual and group therapy sessions. She received her Master of Social Work degree from New York University and was staff psychotherapist at the Postgraduate Center for Mental Healths Institute for the Performing Artist from 1992 to 1998. She has organized Jungian seminars and study tours for more than 15 years, and lectures and leads workshops on a variety of topics related to Jung, creativity, and the arts. Copyright ©2012–2019, New York Center for Jungian Studies. All rights reserved.